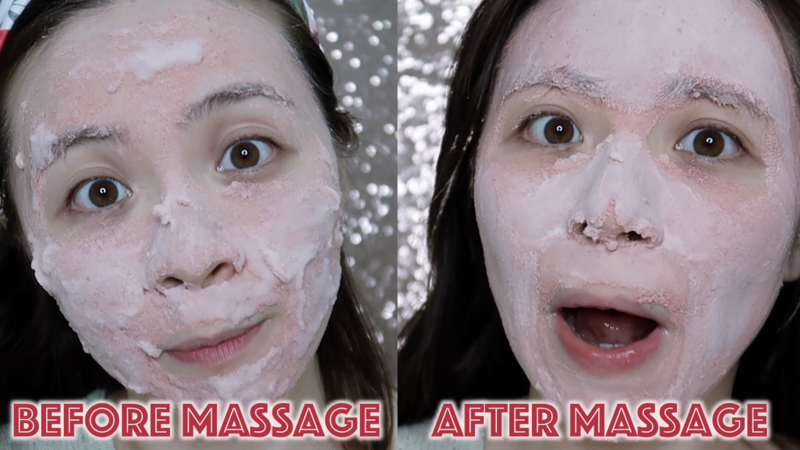 I don't know if you noticed but bubble mask was one of the weird beauty item that took the YouTube beauty community by the storm and everyone was trying it, there was one particular brand that sold it and people tried it because it made your face look super funny while it bubbles up on your face. Mamonde, I guess tried to ride along with this trend but added their own, pretty awesome twist might I say, in the their bubble mask. 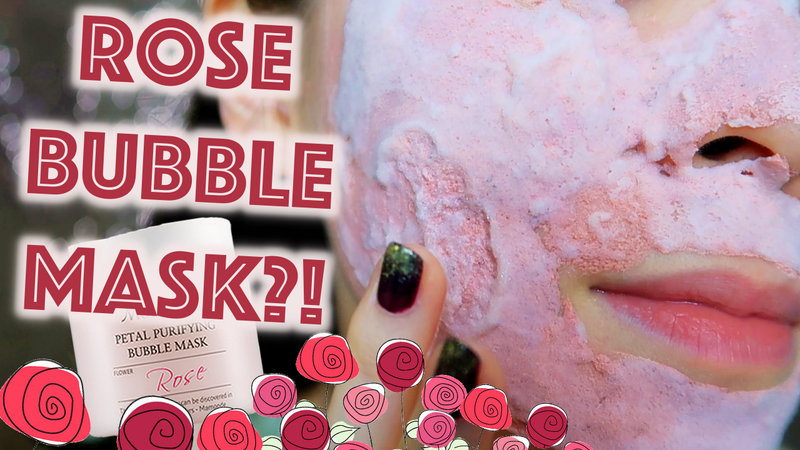 Staying true to their branding, they added rose petals and scent to their clay based bubble mask! Let me tell you straight up, it's quite nice. 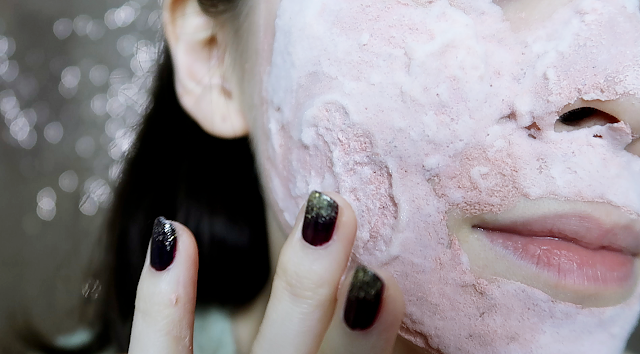 Before you judge it as a gimmick-y product, bubble mask actually do have benefits of its own. Similarly to why you should foam up your cleanser before massaging it on your face, having bubbles give a deeper cleansing effect as the molecules are smaller and able to penetrate deeper into the epidermis. 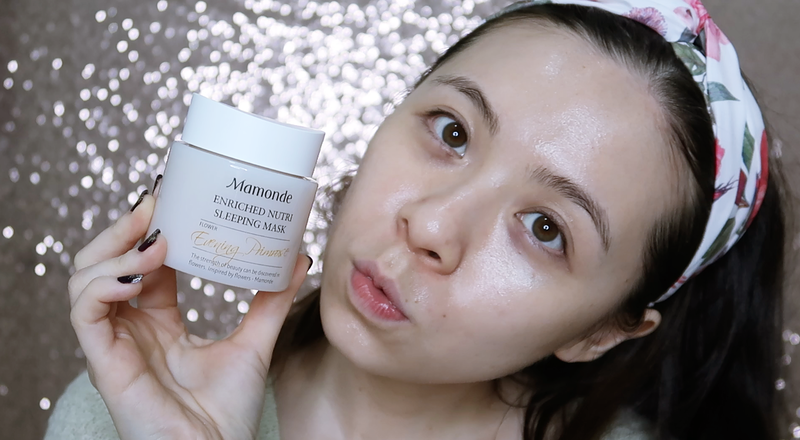 Along with the rose bubble mask, under the Mamonde Flower Facial Mask Line, they've also launched three other mask - one clay mask and two sleeping masks. They are all inspired by the distinctive properties of selected flowers - Rose (bubble mask), Heartleaf Houttuynia/Eoseong Cho (clay mask), Calendula (sleeping mask), and Evening Primrose (nourishing sleeping mask). We'll review the highlight, ROSE BUBBLE MASK first. Check out my video below to have a better look at some of the products. I also used one of the sleeping mask in the video. This has visible rose petals with green tea and peppermint extracts, says to help revitalising stressed skin caused by our surroundings and able to bring dull-looking skin back to life. Basically a little brightening effect. It's said to be suitable for dry skin, dull and fatigue skin. I think this is perfect for me. After trying it out, I really do like this. It smells awesome and it doesn't have a waiting time (in my opinion). Usually for a clay/purifying mask, you'll have to at least wait for 15-20 minutes for it to dry. Sometimes, that waiting time turns me off. It has a different seal as compared to other three masks. This one, after applying it on my face, it'll start to bubble almost immediately. 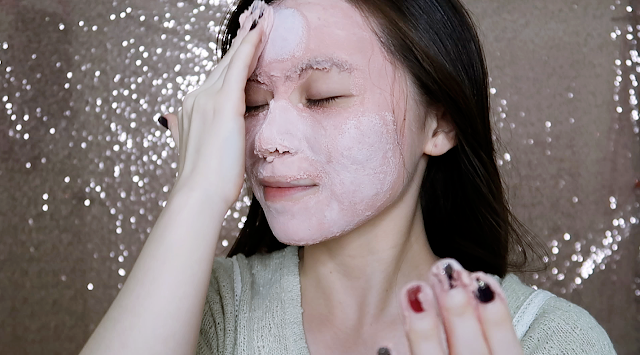 By the time you are done with applying the mask all over your face, it's already time to massage the face for exfoliation purposes. After a while of massaging, the mask will somewhat lighten in colour and pretty much you can wash it off. Unfortunately, like most clay based mask, it's a pain to clean off. However, once you do, it doesn't leave my dry skin feeling overly tight. My skin feels firm but not extremely tight. Smoother of course, and quite soft and velvety feeling. Also, quite calming thanks to its scent. In my opinion, this pretty much is just another regular clay mask. I've yet to open this and I don't think I will anytime soon. Just to give you a brief, this is a wash-off face mask that uses Heartleaf Hottyunia's leaves, walnut shells, and natural mineral clay. It helps to absorb excess sebum which makes it suitable for oily skin type, those with enlarged pores, and skin with loads of dead skin cells. This is blended with Calendula petals alomng with Centella, Aloe Vera, and Cucumber extracts. With all these ingredients, you can already tell that it's going to be one that will be refreshing, soothing, calming, and hydrating. I tried this during the workshop that they had last month and I don't mind it. It's nice but I don't really care too much about this sleeping mask because it has a water-gel like texture that light weight, which is pretty much like most sleeping mask out there in the market, nothing really groundbreaking. It's great if you like these kinds of sleeping mask, it's just not my cup of tea. Smells awesome though. Now this one, I like, a lot! I first tried it in the video and the next day, my skin felt awesome. Yes, I applied it quite generously, but I do that with most of my products anyway cause I do have pretty dry skin. Plus, evening primrose oil is one of my favourite ingredients as they are known for its great moisturising properties. This product also combine with Camellia Oil and Sunflower Oil, making this mask even more nourishing. It contains nutrient capsules to help fortify the protective layer of the skin, massaging them during application helps to break the capsules and activate it. This mask has a thick cream-gel like consistency, smells good but not as strongly scented as the calendula one, perfect for severe dry skin individuals. And then we had a little tea session with The Tea Republic people. It was nice of them to introduce us to the type of teas and etc. Thank you for showering us with tea-goodness. Overall, the New Flower Facial Mask line is pretty good but you'll have to pick the ones that suits you. For me, I like using the Rose Bubble Mask to give my face a good cleanse and then slab on a thick layer of Evening Primrose Sleeping Mask. I'll only do this routine just before bed time. If you have oily skin type, probably the other two options will work better for you. For more information, visit Mamonde Malaysia's Facebook Page. 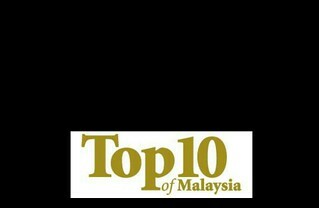 Awesome Place To Stay In Ipoh For Big Families!